Finn is one of the best dogs you’ll ever know. 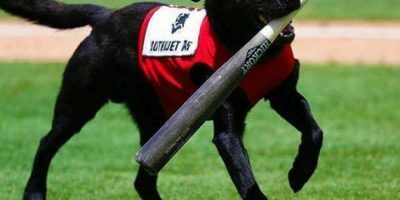 He’s a bat-retrieving pup for baseball games, and he’s expertly trained and extremely good at what he does. Basically, he’s a very, very good boy, and everyone knows it! But here’s the thing – Finn has a certain flow. He knows how work goes, and he has a good routine for doing so. 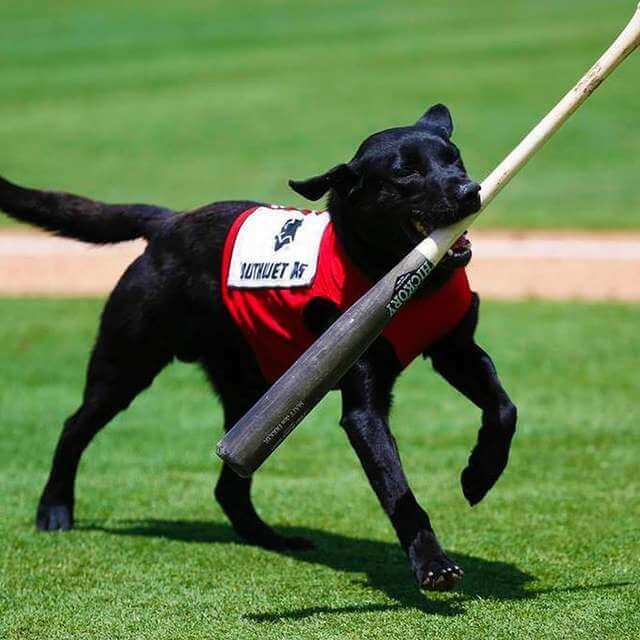 He picks up thrown-away bats and brings them back off the field so they don’t get in the way. When a spoilsport disrupts his work routine and flow, he can get a little confused. The Las Vegas Aviators were up against the Sacramento River Cats one Tuesday, and Finn was performing his usual duties. A bat was tossed aside and Finn ran up eagerly to retrieve it, but before he could get there, someone flipped the script. The umpire for the home plate reached down to pick the bat up, throwing it aside and away from Finn’s grasp. Immediately, the crowd was up in arms. They began letting out a chorus of angry “boo”s to let the umpire know that there were not pleased by his act of ruining the fun! Players supporting either team had now dropped the baseball rivalry for a moment and focused on supporting Finn! Just listen to how angry they are in this video. Meanwhile, a confused Finn shook off the unexpected detour and continued carrying out his work as usual, with the whole stadium having his back and rooting for him! Props to this pup for not getting distracted! Check out this video of Finn doing his work how it should be done. This Adorable Pup Is Totally And Completely In Love With Fresh Sheets!